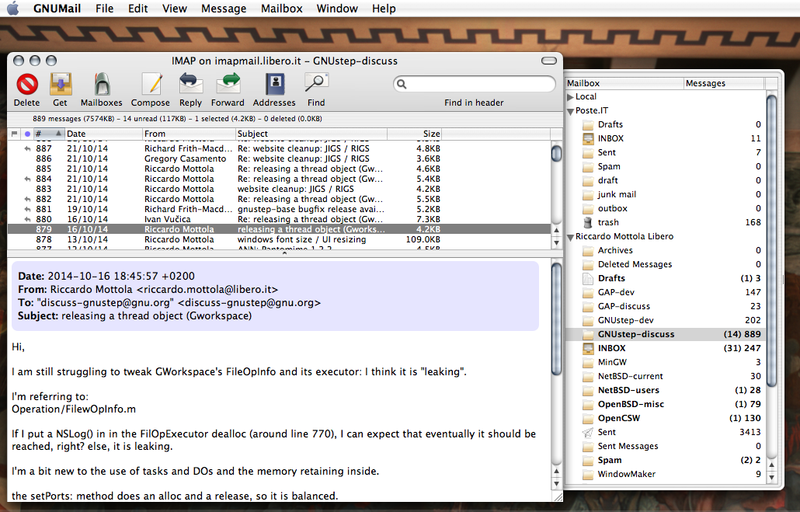 After Pantomime a GNUMail release had of course to follow. The same words as for Pantomime apply. Due to the inactivity of CollaborationWorld and Ludovic, we(*) decided to import the sources in gnustep-nonfsf at gna.org. 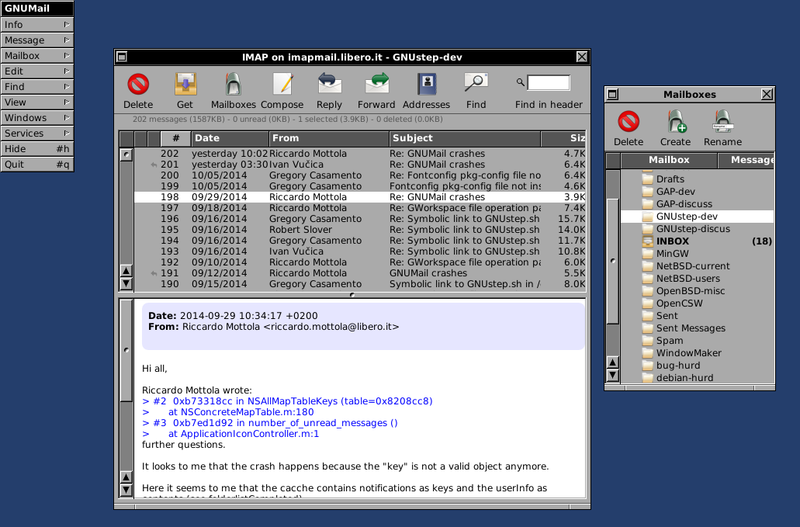 There is still quite some stuff to do, but at least GNUMail can be compiled, run and used again and I hope other will enjoy it! 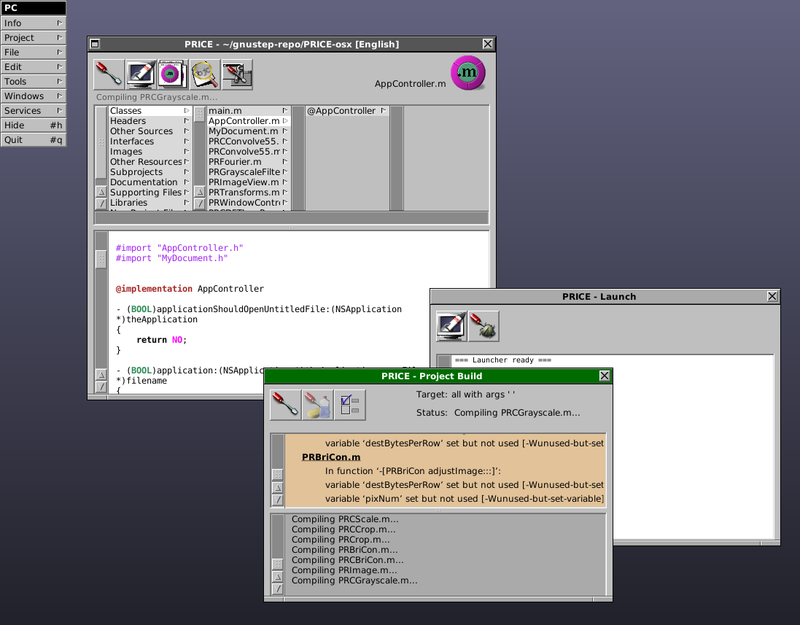 Version 0.6.2 of ProjectCenter, GNUstep's IDE (together with GORM), is out! Did you want to use GNUMail on NetBSD and were not even able to compile it? Do you run 64bit and had problems with GNUMail ? I am pleased to announce a new, maintenance release of Pantomime. * new res_init code for NetBSD which allows finally, after years, to run GNUMail on NetBSD! In the past weeks, quite some polish was added in windows support. First, there was a bug affecting Popup Menus and contextual menus that affected only certain computers. It was fixed. Then the controls were not properly initialized. Native file-dialogs, for example, as well as upcoming print dialogs (work in progress by Gregory) did not fit the theme properly. On XP, Window 7 and Windows 8 they should follow the native look, instead they always got the "Win 95" look creating a strange mix. The fix requires initializing Windows' controls. I put the initialization code inside the WinUX theme loading. If it will not prove safe, then it needs to be moved into NSApplication. Furthermore, an XML resource file to enable the correct loading. I really does look nice, doesn't it?